Crafted of 14-karat sterling white gold and diamonds, the sparkling beauty of this ring is perfectly accentuated with its 13 diamond gems. Its French-Pave setting enhances the allure of this ring with outstanding levels of flair, brilliance and diamond clarity. Our Diamond Comfort Fit Flame French Pave Band is undoubtedly, a delicious piece of jewelry that evokes feelings of delight and enchantment. 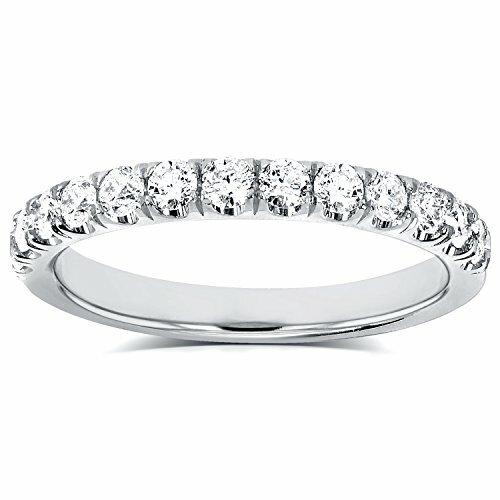 Manufactured by Kobelli, this ring is the perfect wedding band or anniversary gift for your beloved one. If you have any questions about this product by Kobelli, contact us by completing and submitting the form below. If you are looking for a specif part number, please include it with your message.